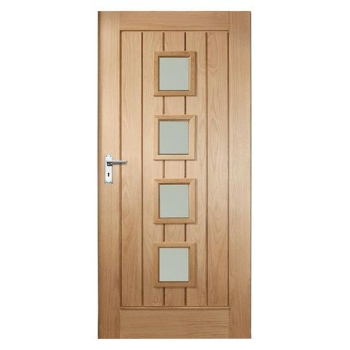 Modern Oak external door with 3 frosted double glazed units. 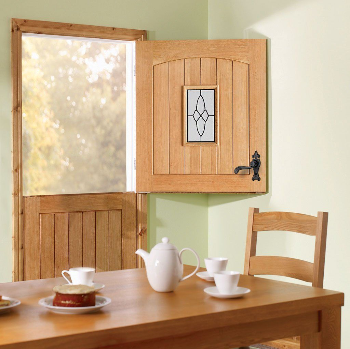 Great for letting in light without forfeiting privacy. 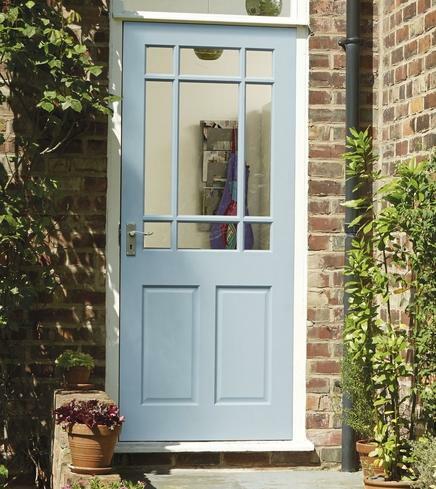 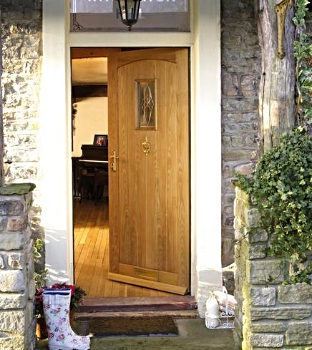 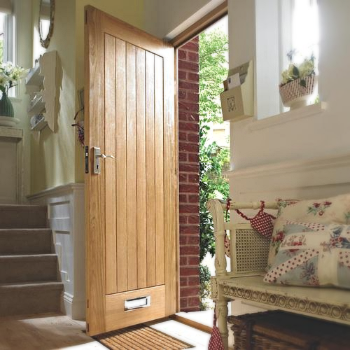 Bringing a very current, modern look to your property while still using the traditional Oak timber door. 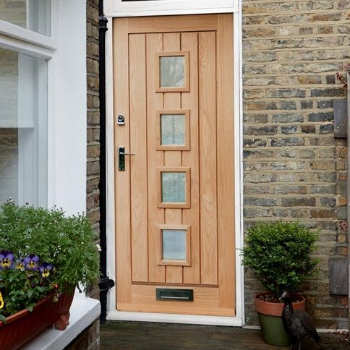 Thanks to the popularity of Scandinavian design, the timeless appeal of oak has returned to modern homes. 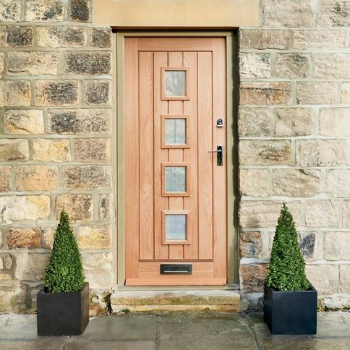 Our External Dordogne Oak Glazed doors embrace this trend, with welcoming wood tones and four glass panels.